Check in, chat with some peer leaders, and enjoy a continental breakfast before the welcome session. Be sure to register for this program at least a week in advance so that you can easily check in for the program. The program begins with an official welcome from the New Student Orientation team. This session will help you understand the program schedule format and available services for the day. Representatives from Admissions, Registrar, Advising Success Center, and Placement Testing, fellow students, and transfer student alumni will discuss their recommendations for a smooth transition process and then will answer any general questions that you might have. Click here for more resources about transferring to NJIT. Those who have registered for one or more courses, can obtain their student ID photo throughout the day. For those who have already received academic advisement, our peer leaders will provide you with a personal tour of the campus. Feel free to ask to visit any specific locations, such as classrooms or campus hangouts. Much of being a student at NJIT requires computing access to various platforms, systems, networks, and software. Get the overview on how to utilize all of these in this useful session. This session will also be offered again later in the day. Click here for the New Student Computing Guide. The Peer Advisor Liaisons (PALs) from the Center for Student Success will share important information from a student perspective that will help you make the transition to NJIT. Click here for more information for admitted transfer students. Learn about how you can receive resume tips and how to obtain internships/co-ops through Career Development Services and dozens of resources to boost your career prospects! Then hear from students who have had real-life internship and undergraduate research experience. Active-duty military, veterans, and military dependents can learn about all of the benefits they receive as an NJIT student. Getting Connected into Greek Life - Campus Center 240: Learn more about fraternity and sorority life in NJIT with a panel featuring affiliated peer leaders and the Director of Greek Life! Lunch will be available in the Campus Center Atrium. Pick up a bite to eat and attend one of the sessions or take a break in the Campus Center. Want to meet more students? Get a chance to meet fellow incoming students through a speed meeting activity. A facilitator will provide some structured questions for you to discuss with one person for a minute, then you will rotate to a new person and get a new question. Officers from the Department of Public Safety will share with you tips for keeping safe on and off campus, as well as many resources dedicated to your safety. From student clubs, to student government, program committees, and special events, the Office of Student Life will discuss the many ways you can get involved as an NJIT Highlander. Commuters will learn about the services and opportunities for them, and will learn what its like to be an NJIT commuter. Are you living on campus this semester? This session discusses the resources, programs, policies, and services offered to residents here at NJIT. Representatives from Financial Aid Services and the Bursar’s Office will discuss how you can pay for your education. Our peer leaders will provide you with a personal tour of the campus. Feel free to ask to visit any specific locations, such as classrooms or campus hangouts. If you have courses that still require evaluation after sending in your transcripts, there will be faculty and advisers from various departments who will be available to assist you. Have your supporting documents ready (course description, unofficial transcript, course syllabus). Chemistry, College of Architecture & Design, Theatre Arts & Technology. Please reach out to these departments separately to have your courses evaluated; a list of credit evaluators can be found at njit.edu/advising/creditevaluation. Ready to register for courses? You can register for classes here and get support from our expert NSO peer leader team! A peer leader will give you a personal tour of the NJIT campus at the following times: 2:00 PM, 2:30 PM, 3:00 PM, 3:30 PM. 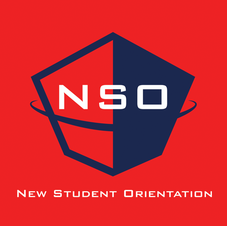 Meet at the NSO sign at the front of the Central King Building ground floor.